You can add a link to another website by highlighting text and then clicking on the icon in the top right (see screenshot). You can then input the URL. 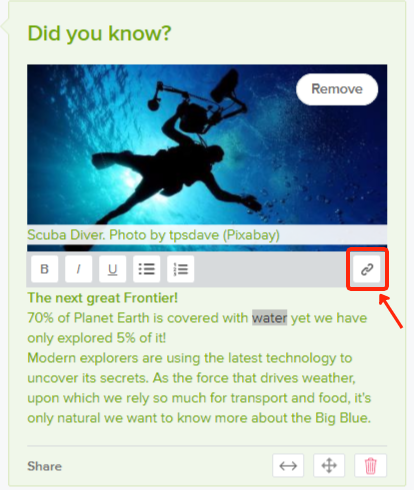 You can also embed websites and resources (google docs, PDFs, Prezi, Padlets...) by creating an embed item. Click here to find out more.